Holidays are a time of over-indulgence. But, overdoing it on the sugar and the food coloring and the icing can do the opposite of putting you in the holiday spirit, especially if you’re a parent trying to care for little ones on a sugar high. 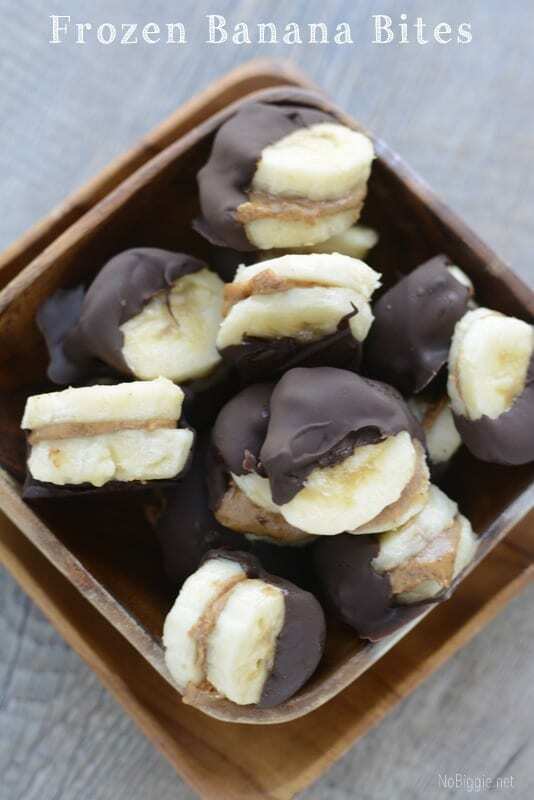 That’s why simple, healthful desserts like Frozen Banana Bites are perfect for this time of year. 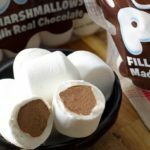 They’re sweet enough and adorable enough to feel special and decadent, but are made with real ingredients and no added sugar. Best of all, this recipe can be made allergen-free, so it’s safe to bring to school holiday parties. 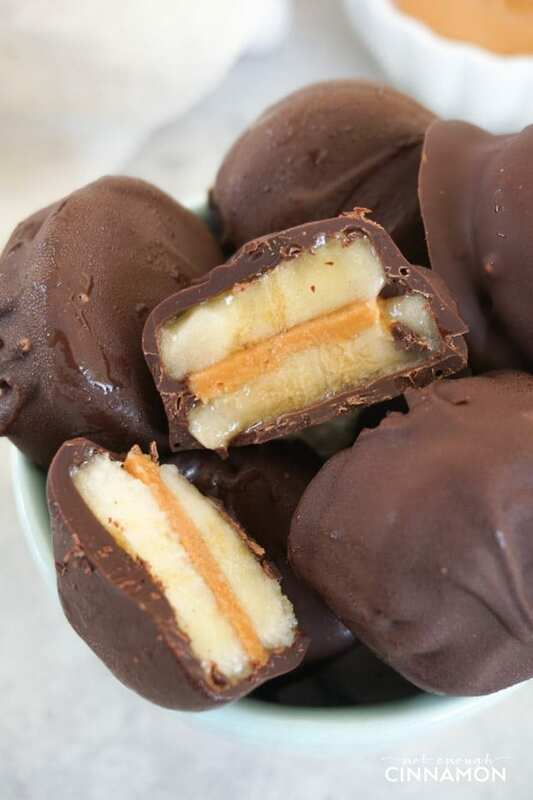 The recipe for Frozen Banana Bites comes to us from No Biggie. With nothing other than almond butter, dairy-free chocolate chips and bananas, this mom makes a frozen treat that kids and adults can enjoy. (Hint: To make this tree nut-free, use sunflower butter instead of almond butter). Variations include using Nutella in place of almond butter, although you could also use peanut butter if you prefer. The nice part about this recipe is that kids will love using tongs to dip their frozen bananas in chocolate. Speaking of which, you can really play with flavors here, maybe even using melted caramel or butterscotch in place of the melted chocolate. You can also add toppings to the chocolate before it sets, sprinkling coconut flakes, nuts, crushed waffle cones or even toffee onto the dipped banana. Pillsbury takes a similar approach, except they dip the entire banana bite (not just one side), and they use a toothpick to make snacking easier. And they don’t use peanut butter, making this is a safe, allergen-free bet for school parties. 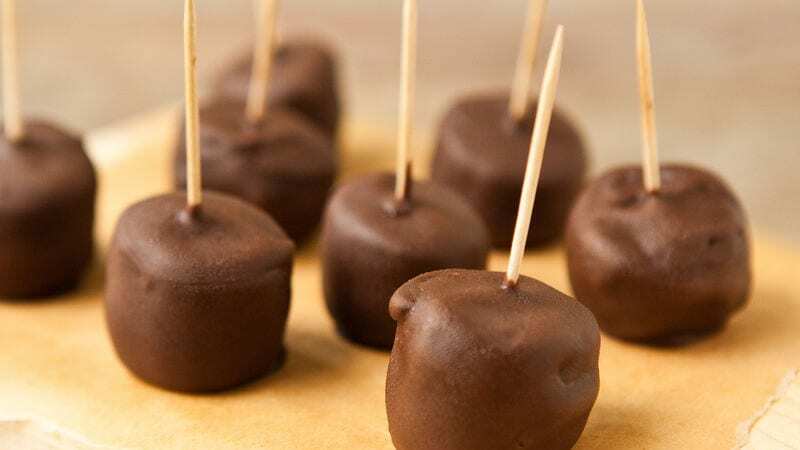 They also suggest adding coconut oil or vegetable oil to the melted chocolate chips to make it smoother and more dippable. Over at Not Enough Cinnamon, Marie uses this same method, and she also recommends microwaving the peanut butter before spreading it on the bananas (otherwise the banana can get mushy or fall apart as you try to spread the stiff butter). There you have it. A sweet, healthy treat you won’t have to feel guilty about — which is good, because you’ll probably wind up eating the whole batch!